Sometimes, you make something and you think, "This is good. I should make it again." And if you have a blog, you take pictures of it (even after sneaking a few pieces out of the pan with your hubby) and share the recipe. If you like peanuts, chocolate, and coconut, you will probably like these granola-y bars. 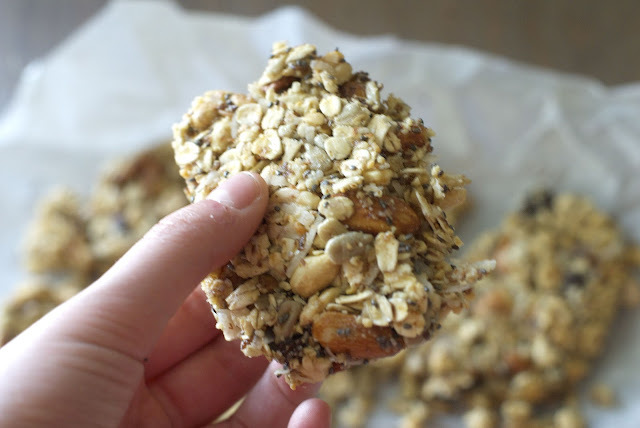 The ingredient list may seem daunting, but the granola bars are actually quick and simple to make. I whipped them up in about 7 minutes flat. 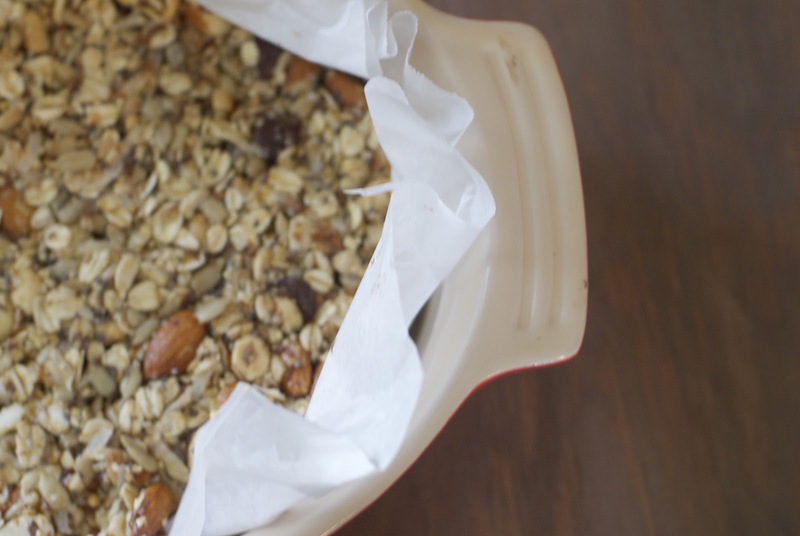 This recipe is also quite adaptable--for example, you can use walnuts instead of almonds, or cherries instead of chocolate chips, etc. If it looks a little like bird feed, it has to be healthy...right? 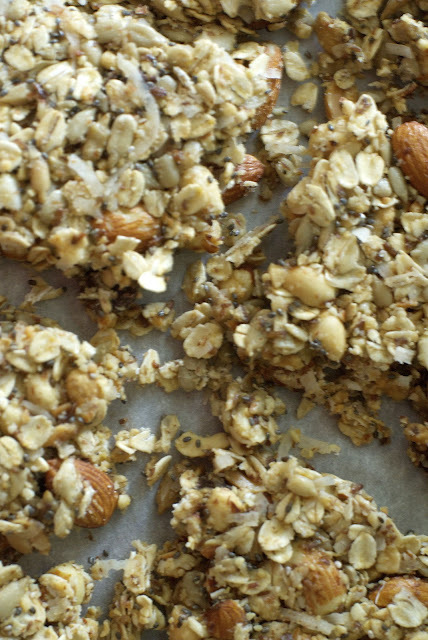 Chop almonds and peanuts into a coarse pieces in a food processor or blender. Some of it may turn powdery and that's okay! In a large bowl, put together chop/ground almonds and peanuts, sunflower seeds, oats, flaxseed, chia seeds, coconut flakes, and dark chocolate chips. In a small saucepan, warm honey over medium heat and add milk and vanilla. It should get frothy. Pour over mixture in the large bowl. Mix until all the mixture is fully covered. 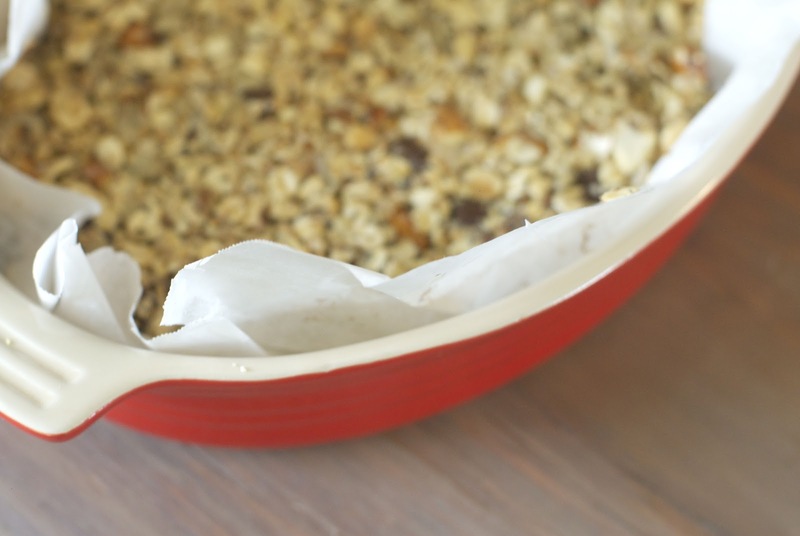 Place plastic wrap or parchment paper on the bottom of an 8x8 inch pan. Pour in the nut mixture and press hard into the pan. I like to put a piece of plastic wrap over the mixture and press down until it's nice and compacted. Mmm these look wonderful! 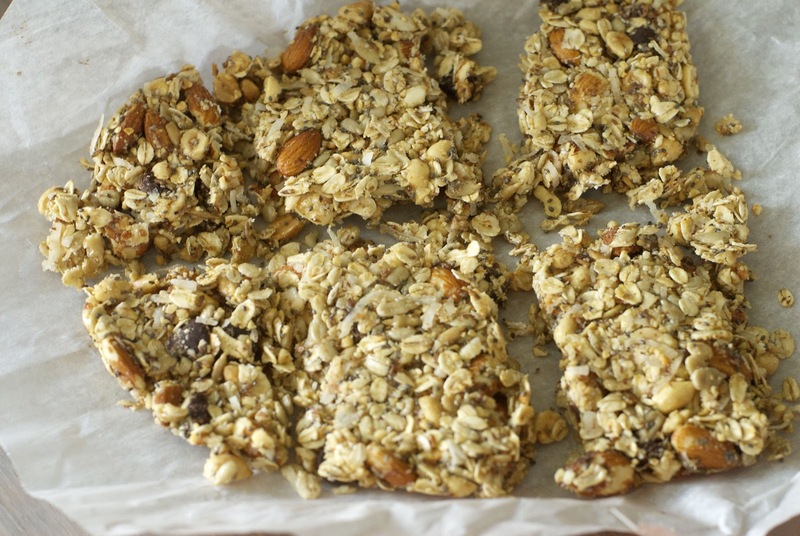 I love making my own granola bars, and make a batch at the beginning of almost every week! These look so good! I just made some tonight! They are so delicious. Mine turned out pretty crumbly, though. More like mush and less like bars. Help?